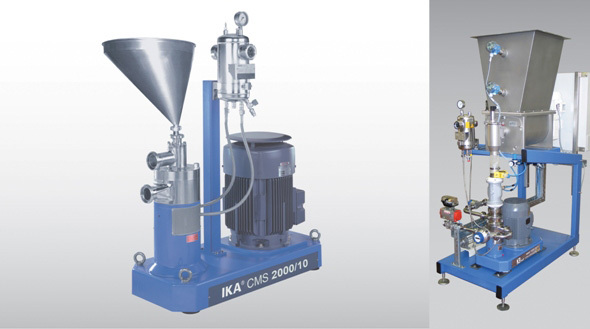 The two major product lines for incorporation of powders/solids into liquids are the MHD 2000 and the CMS 2000 series. The MHD (Multiple stage Homogenization Dispersion) is designed with a feed auger, which conveys and mechanically feeds powders/solids into a liquid pre-mix chamber where solids are thoroughly wetted and blended in the mixing section. 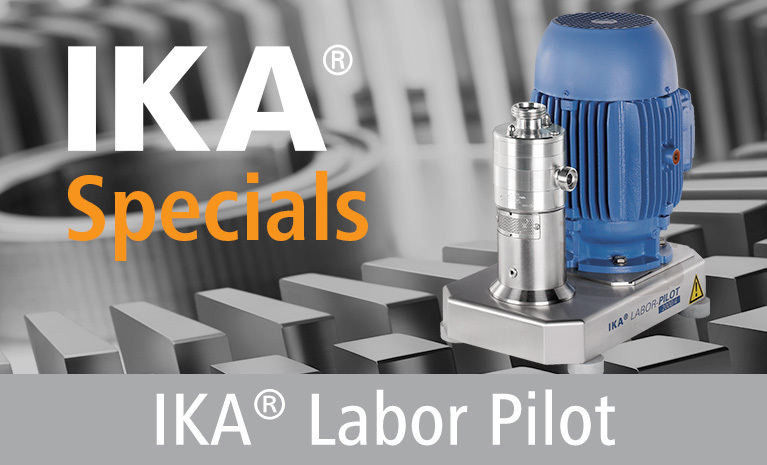 This technology can be operated very precisely in a continuous or batch mode. The CMS (Continuous Mixing Suction) works on a venturi principal. The CMS unit can be operated in a batch or continuous mode. The CMS has a higher pumping rate of liquids, which causes an intense suction of powder at the inlet. Powder can be suctioned from a bag or feed hopper.